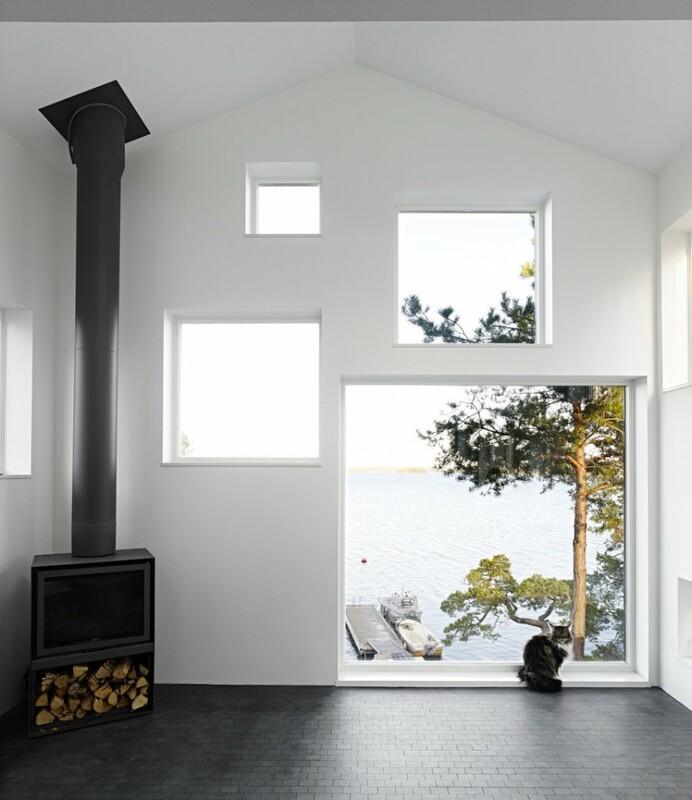 Scandinavian home designs focus more on simple & minimum fuss with maximum style & function. 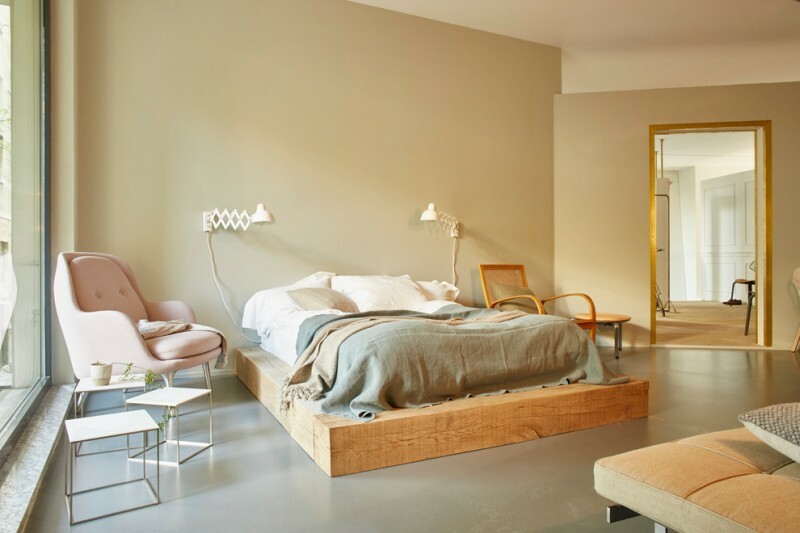 These values have been implemented to Nordic Europe, producing the spaces with airy, light and muted, clean lined, modern, and uncluttered look. Sometimes, the design is powerfully bounded with nature. 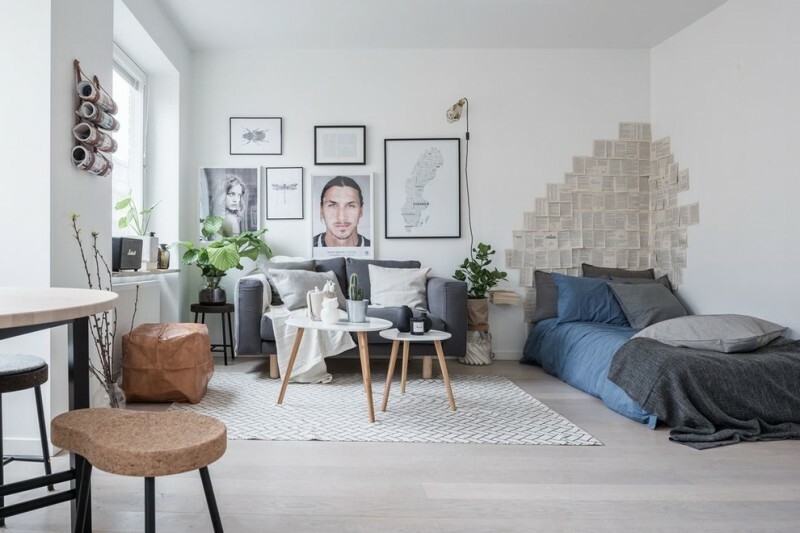 Trends from Norway, Sweden, Finland, and Denmark that expose the real Scandinavian style have been covering all over the world currently. 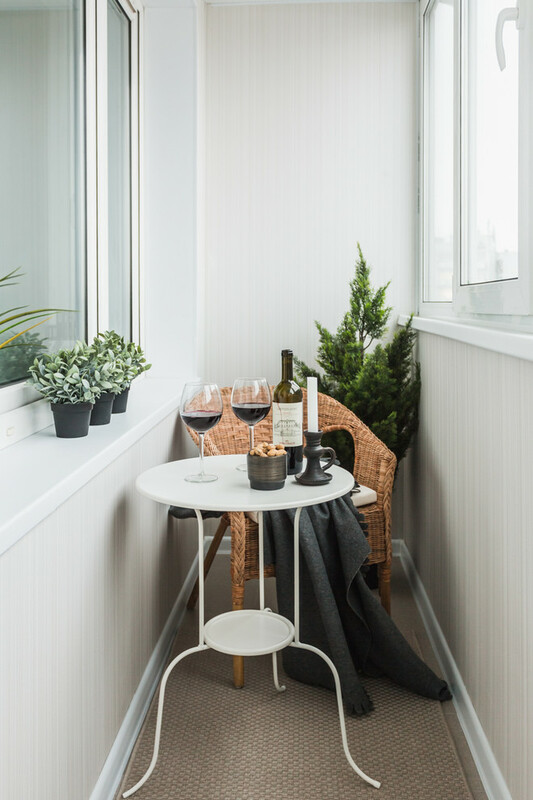 If you are one of Scandinavian style lovers, you can participate by reading these cool Scandinavian designs I want to describe briefly, and giving your comments, and I’m also glad if these ideas become an inspiration and be taken as the model for your Scandinavian home remodel. Scandinavian isn’t always light & muted. Darker or bolder elements are possibly included as the additional tone that perhaps will be the accent color among the existed light interior. Not always on walls, floors, and ceilings, in this idea, the light-toned wood is obviously applied for the furniture and display cabinet. They softly stand out this brightly white interior. 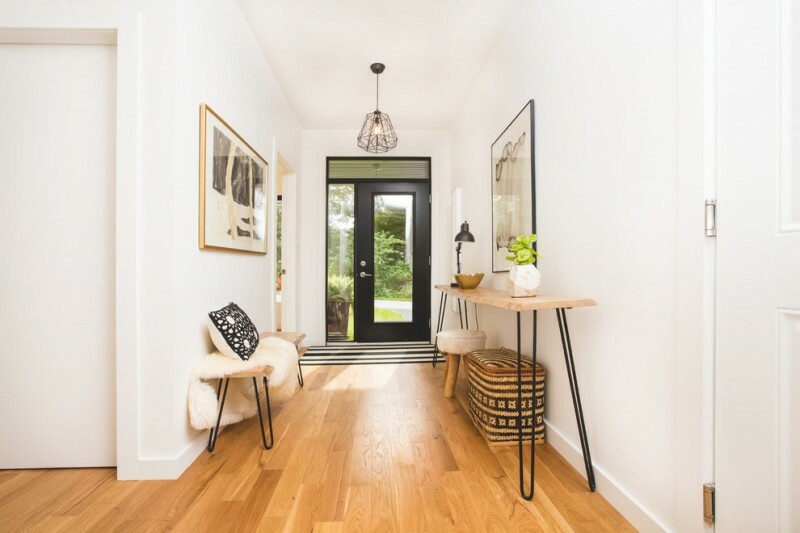 Clean lined, simply modern, and light wood; these Scandinavian values have been stated in this hallway, creating a stylish space with ultimate interior brightness. Light wood and some greens, two balanced elements taken from the same source: nature. Both elements are representing a good natural life through different way. Fabricated wood is a symbol of dynamic nature’s element that can be customized into a modern and clean lined product (like furniture) without missing the original values, while the greens are the symbol of life existence. 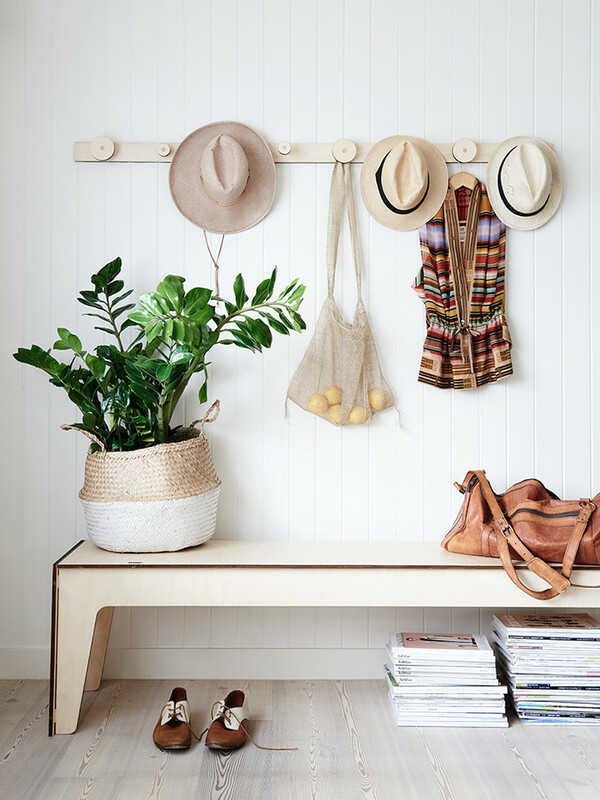 A front door welcomed by Danish light wood bench. 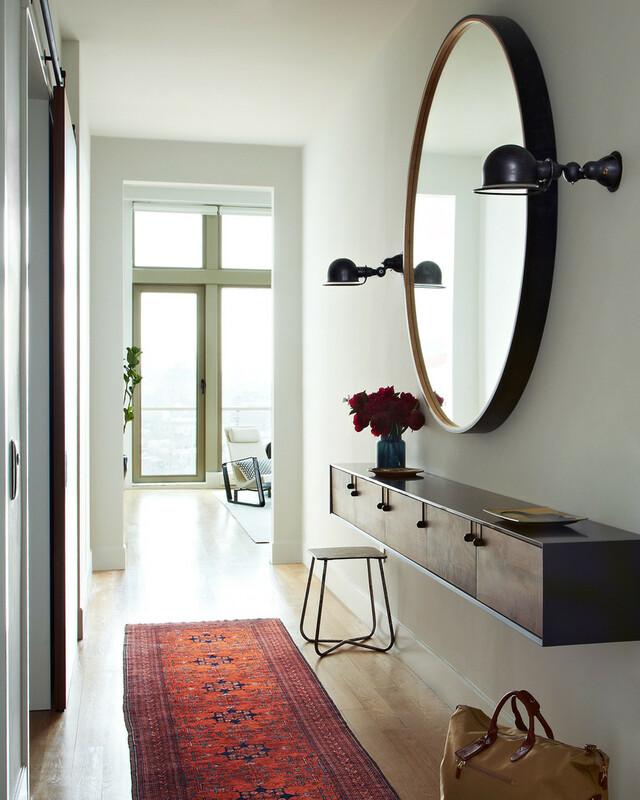 This entryway is furnished by a bench that’s available for wearing the shoes comfortably. No shoes rack, just such a simple bench. Unique! 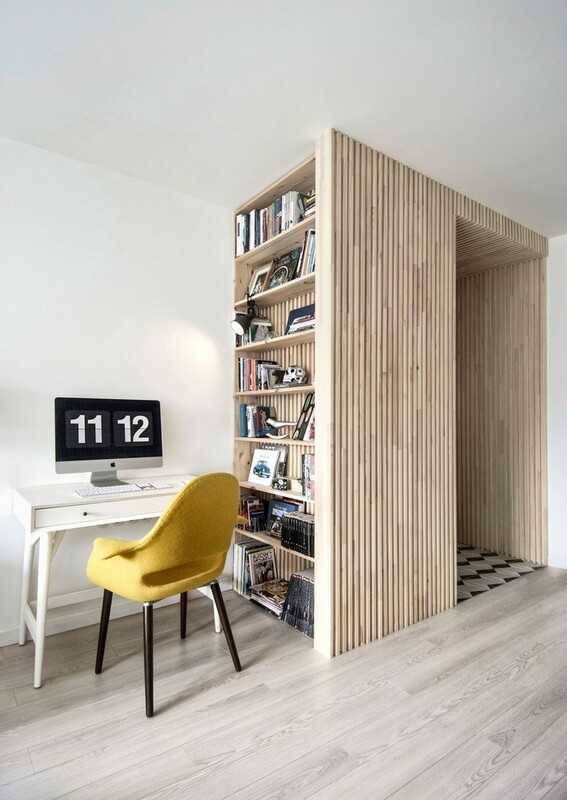 Slatted wood vertical book rack featuring white-painted concrete walls. 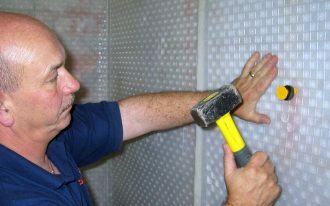 The closet’s wall gives marvelous texture and warm tone. It’s so masculine. 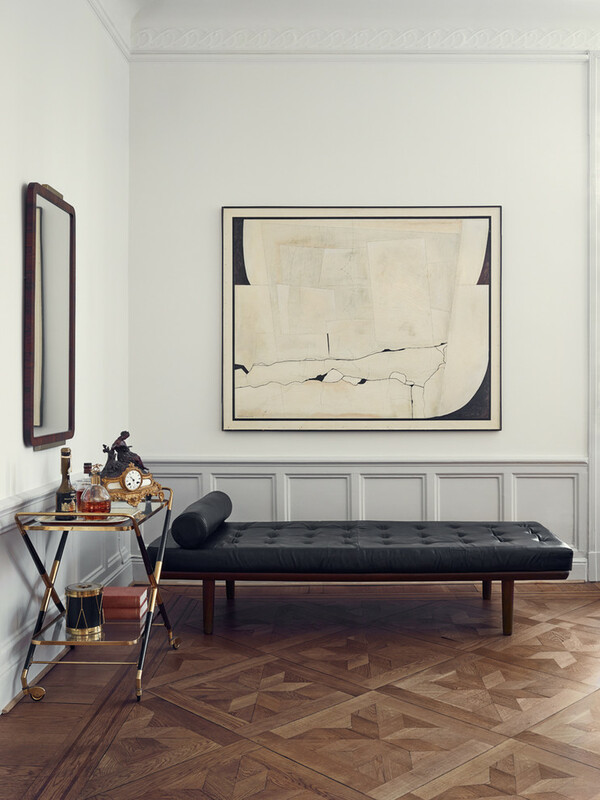 The space uses medium-toned wood floors for a bolder interior, and black wrought iron most applied on hairpin bench and hall console table add an industrial appeal and a beautiful contrast to the space. 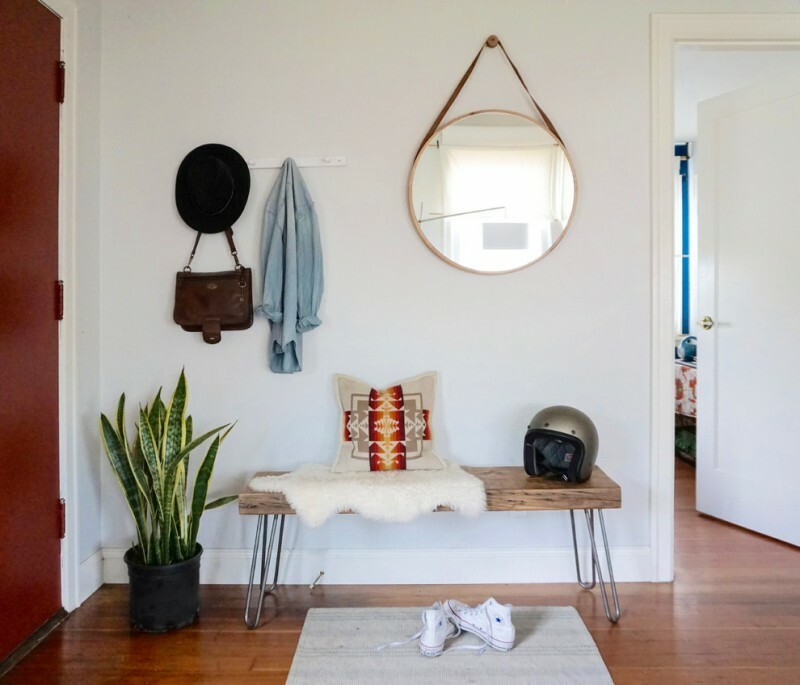 What a perfect entryway! 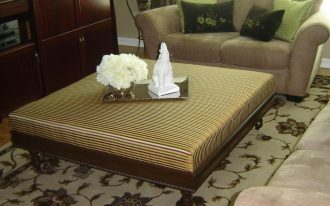 Hairpin-legs bench and shoe mat, an ideal match for an optimum function and style. 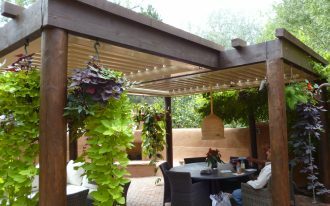 And, the plants in the corner add vividly freshness in this small space. Placing the plants on the bench? Why not. It’s just a variation of how you lay the interior elements out. Even, this idea is creative; isn’t monotone. Soft and muted interior filled with grey furniture and white-illumination wall light fixtures, this as if creates a cold-feel interior. Mosaic tiled floors give different credit in this scandinavian entry hall. 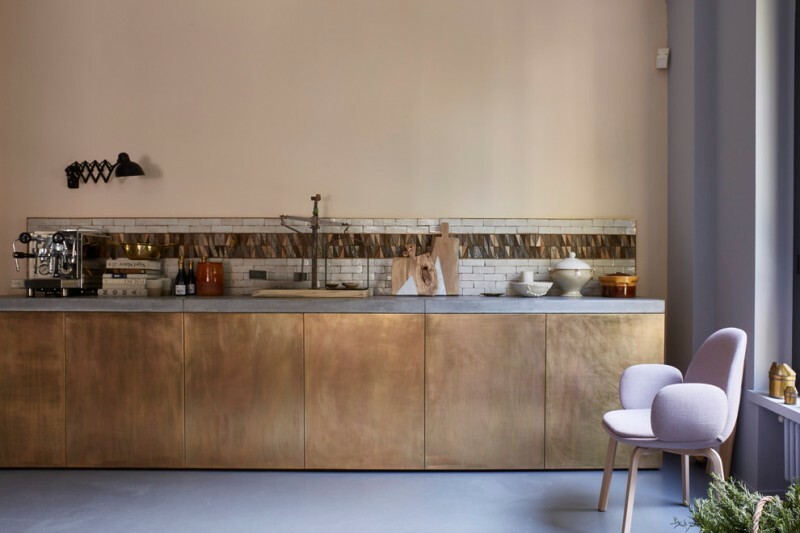 An eating-kitchen in Danish styled interior. Light wood and white finish still dominate this space, giving a balanced cold-warm feeling. 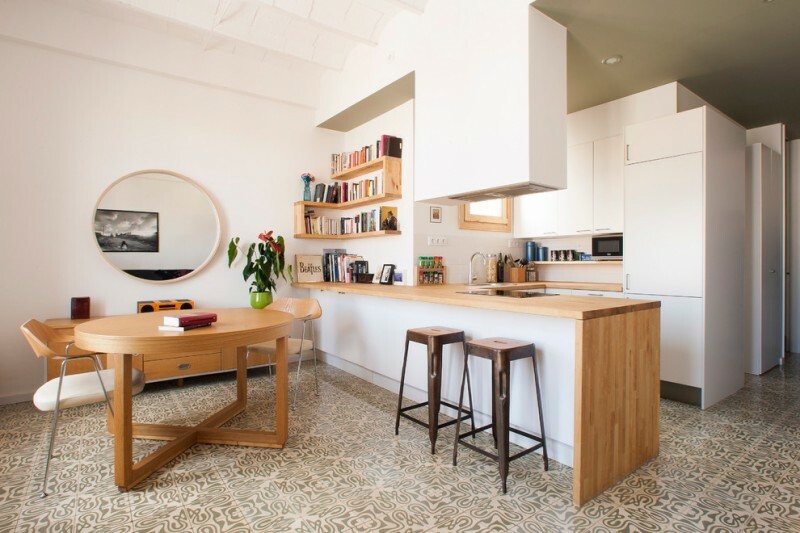 The floors aren’t light or even medium-toned woods, but ceramic tiles accented by traditional motifs. It’s so unique, right? Just play with other vivid colors if you want to make your Scandinavian open plan kitchen more attractive and anti-mainstream. 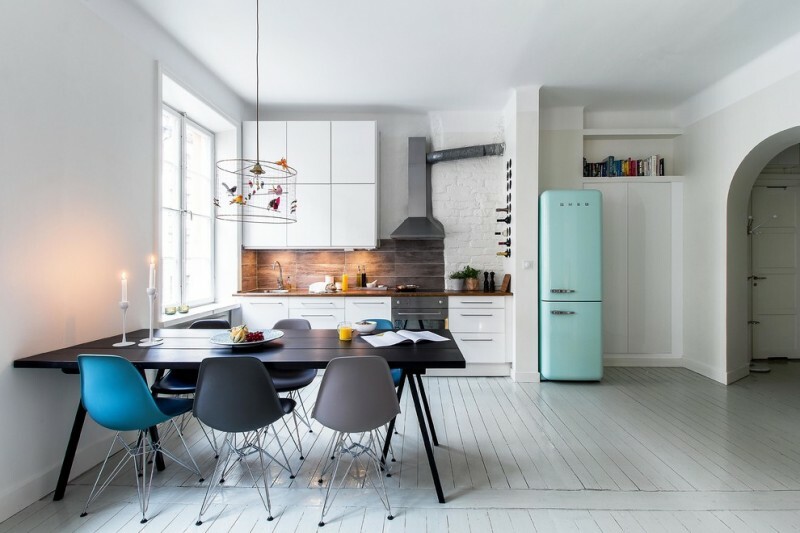 Turquoise finish applied on chairs and refrigerator, for instance, compliments the existed interior design. Use black doff for your dining chairs, and solid black for the table; both chairs and table aren’t similar in color, but interestingly they’re color-bounded. Indoor-outdoor entry hall concept with farmhouse touch. Due its color, the front door seems to be the most striking one, directing all people’s eyes to stare at. 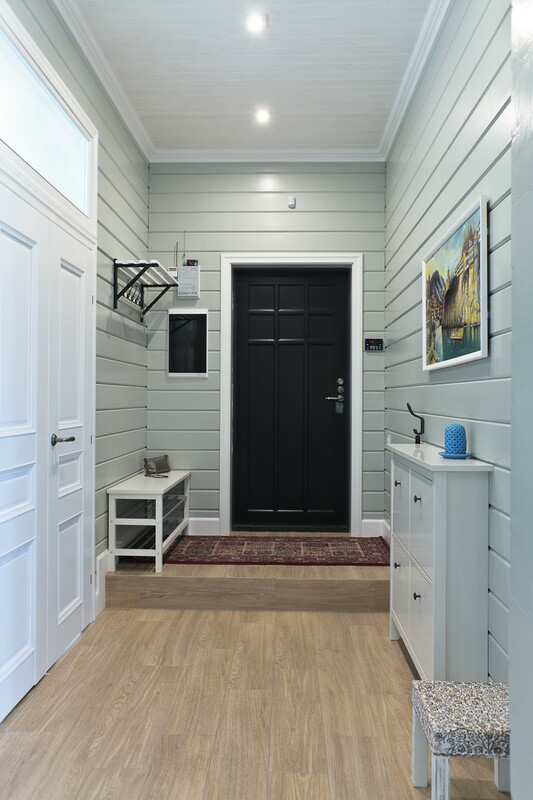 Light grey coating the whole siding walls softly blends with light wood floors, obviously making us hard to differentiate the walls’ and hall cabinet’s tone. 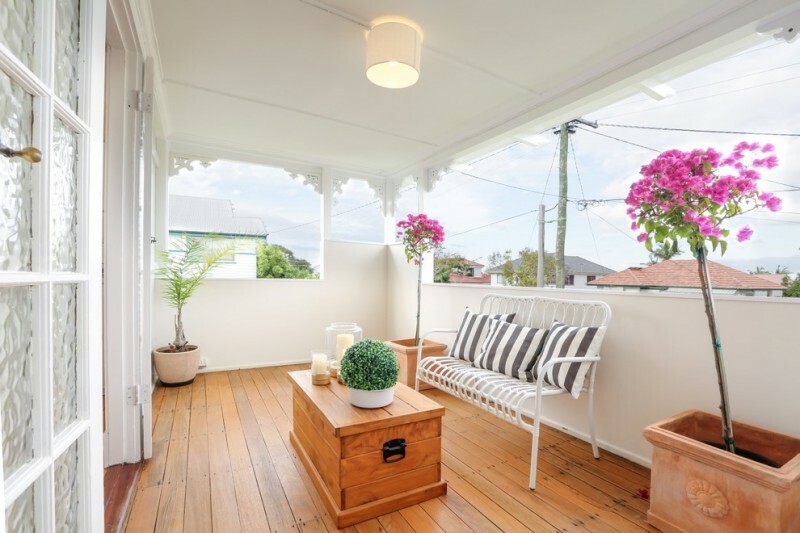 An inspiring Danish front porch in small size. It seems like so airy at top and warm at bottom due to its color tone. The throw pillows and flowers are perfectly garnishing the space, giving a beautiful color accent. 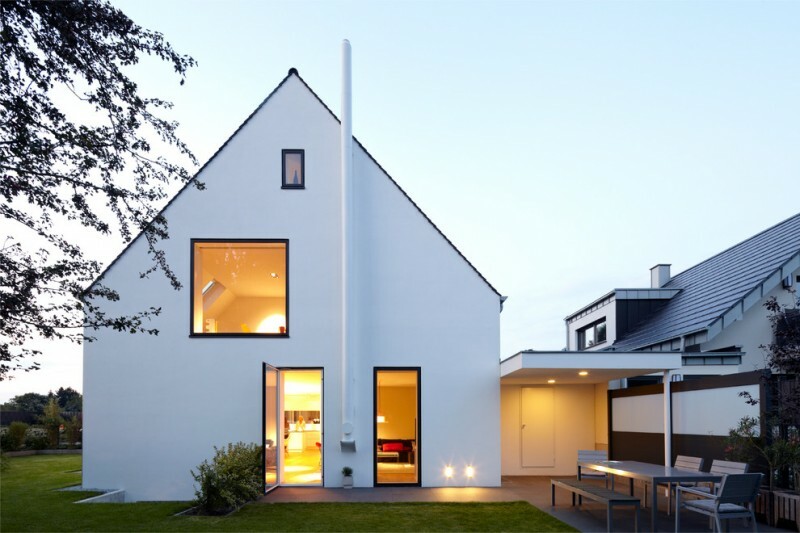 A Scandinavian exterior with front gable roof design. Clean line and modern look – the overall body is painted in white, just each roof’s edge is lined in darker to create an obvious end-lines. The trims framing the doors and window as if wrap around the golden-lighted inner spaces. What a perfect lighting and exterior! 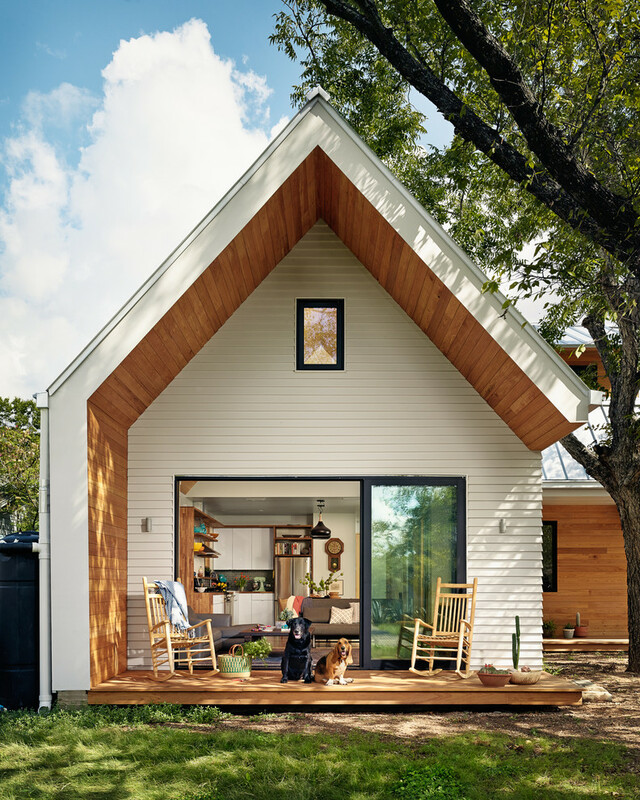 Another scandinavian exterior idea with wood siding walls and open gable roof model. Smaller window precisely settles on the center of space between the roof and entrance, uniquely adding a central interest. The wood sidings covering along the slanted roofs create a double-framed exterior visual effect. That’s so interesting. 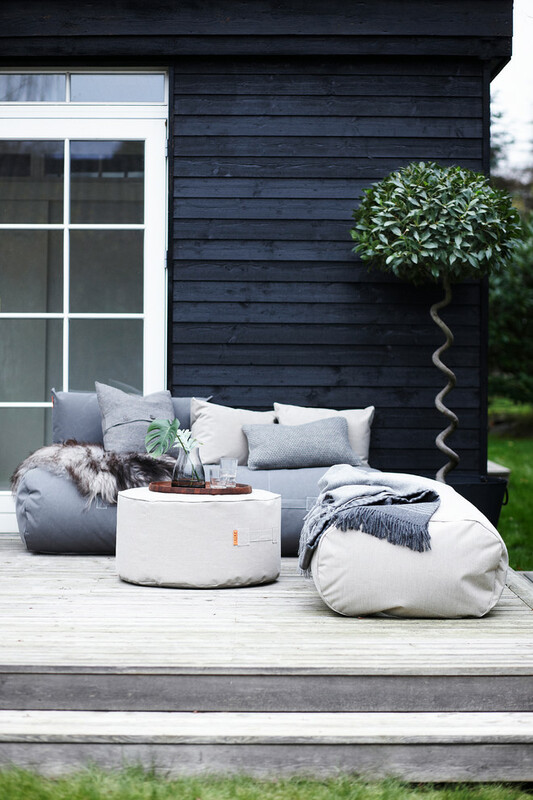 Grey and white mix perfectly to each bean bags, providing the ultra comfy seating area in your modern patio. 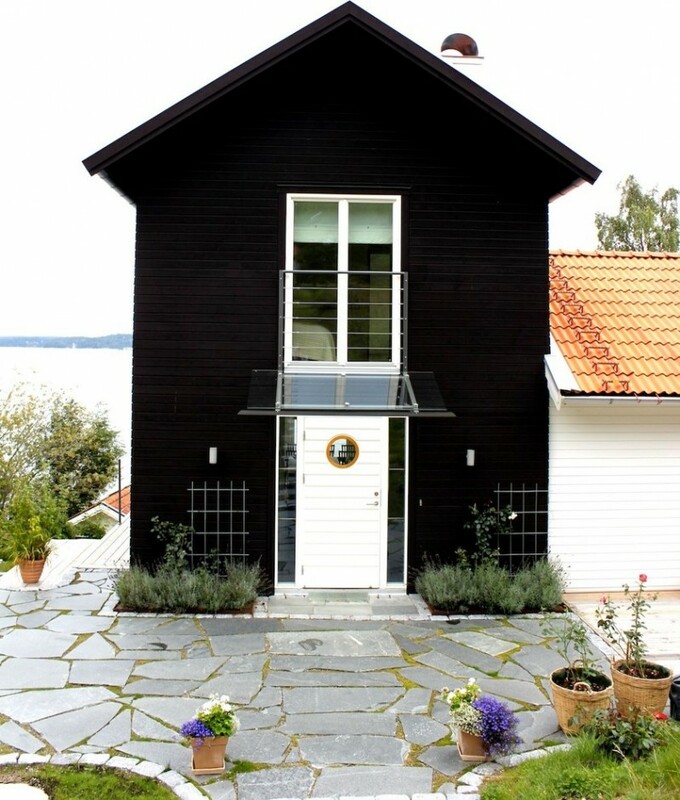 They’re gracefully charming with clean lined exterior highlighted by solid black wood siding walls and pure white-trimmed window. And look at a spiral-stand plant, that’s so amazing. 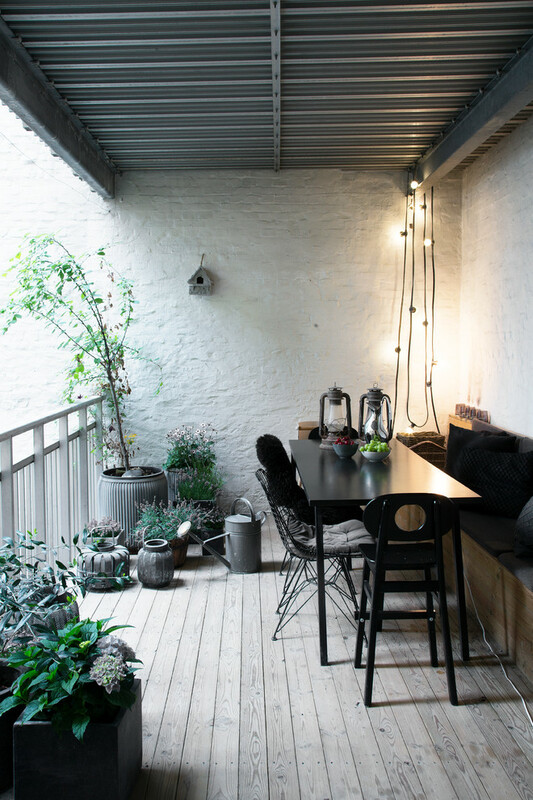 Black and white accented by industrial lighting – simple yet stylish outdoor dining space. 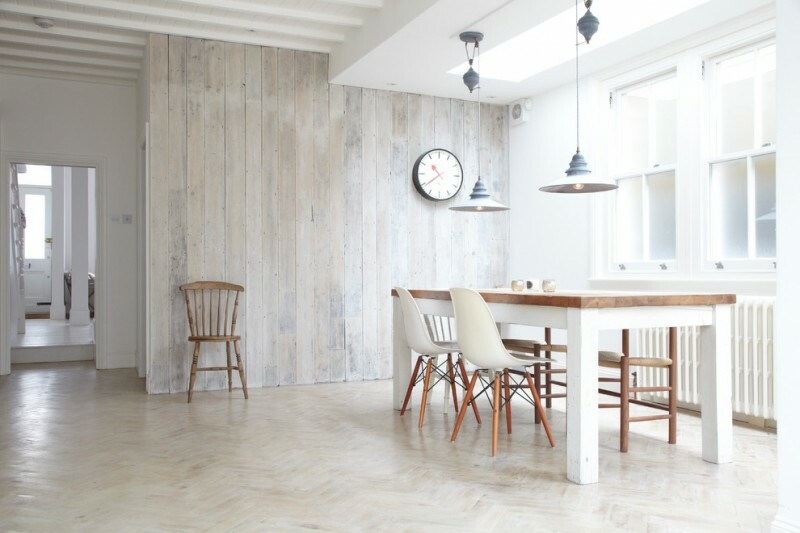 Light grey wood-board floors blend with textured white concrete walls. When the lighting turns on, the space is warmly glowing. 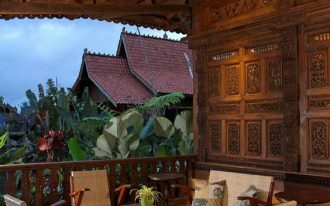 Feel cozy when you’re getting relaxed in such comfy terrace. 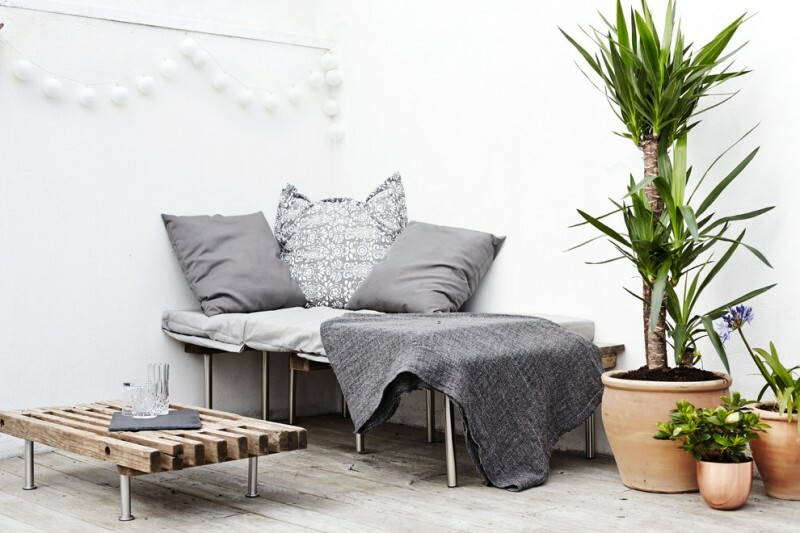 Scandinavian style terrace offers simple yet stylish look through the furniture choice and some life represented by greens or plants. 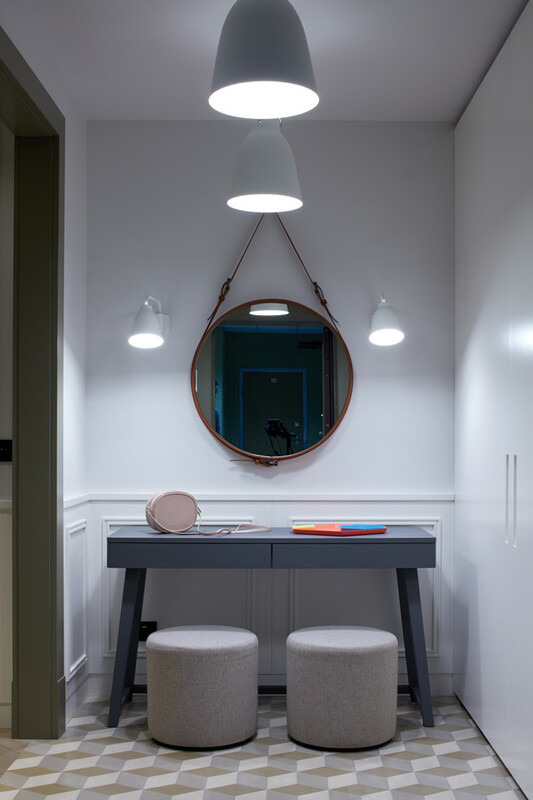 Light interior as if gives a chance for shabbier wood furniture to stand out the space. Complete your comfort just with some throw pillows and blanket. A perfect color combination. White & light wood accented by black, they create light look but obvious in particular spots like the window and sliding door. Overall, the space looks so airy, clean lined, and warm. Another scandinavian dining room idea. 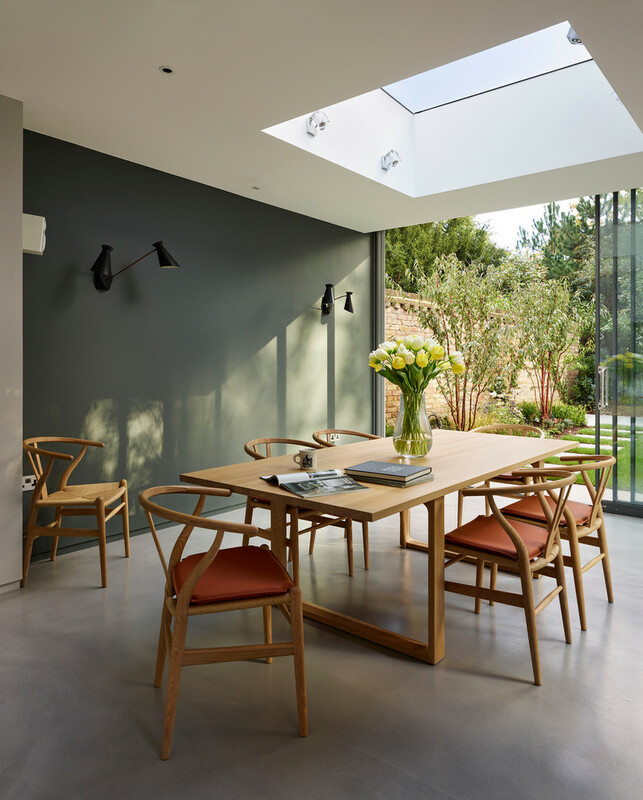 A medium-sized skylight allows the sunlight accesses the whole space, providing amounts of natural lights to every spot in this space. 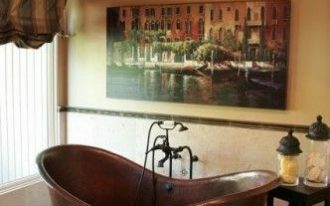 The darker walls, in contrast, apparently reduces the large proportion of entered sunlight by its color, so the space keeps in good balance, not too dazzling. A good choice for energy-efficient homes, I think. Whitewash is the best choice for adding little color accent without missing the existed color. 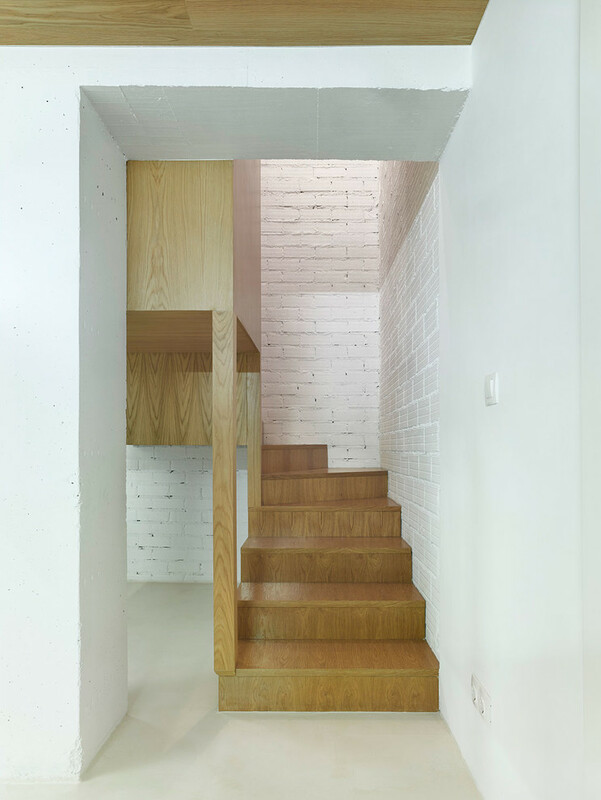 This whitewashed wood wall system, for instance, seems little bit different with the existed white wall and ceilings but still expose their dominant color, white. Interesting. The space is light but has special texture and tone. 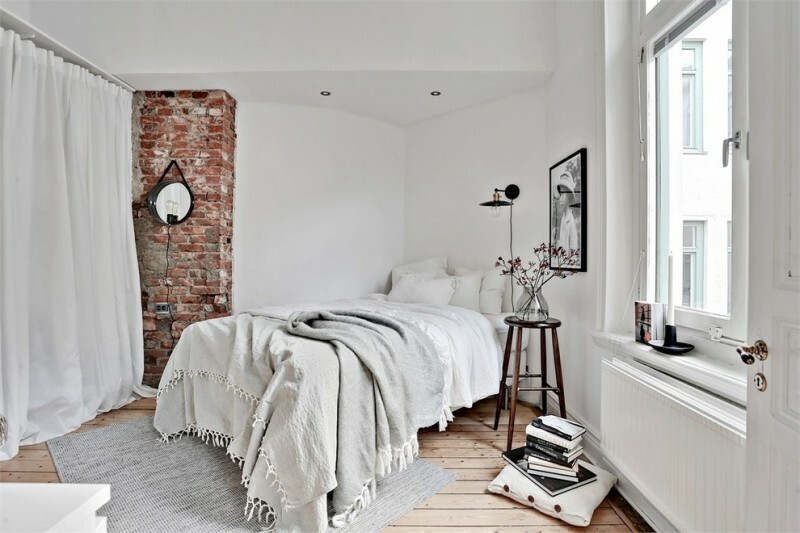 Danish master bedroom with white walls and light wood floors. Comfy and modern. It’s obviously a typical of modern interior with clean lined and pale-toned exposures as the main values. It’s smart to have some bare bricks to break the mute hues dominating this space. 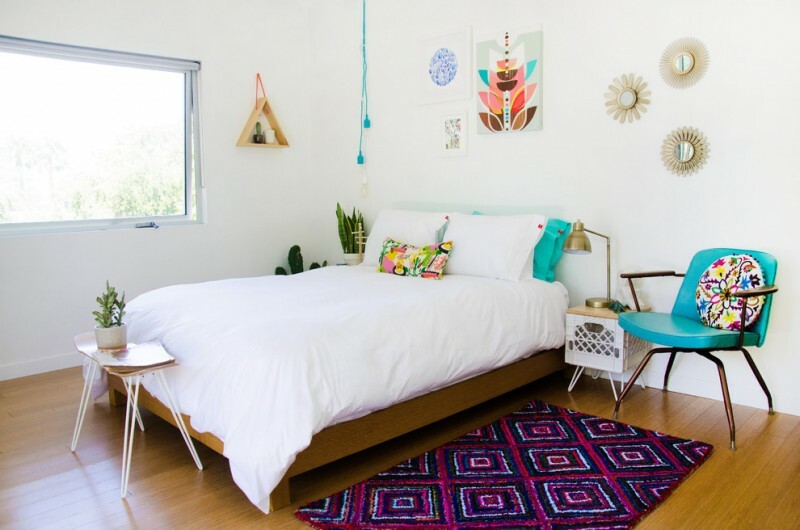 Including some brightest pop of colors is bravely good to add attractive color accents in a clean and light-look interior like this bedroom. It’s gonna be much more interesting, at least it isn’t too muted and monotone to enjoy. Many colored things that could be the direct focal points or accents in the space. An open plan family room in Scandinavian style. Pale grey is dominating here, offering an easy space for bolder-toned interior stuffs colorize this space. 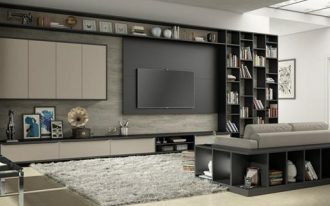 Furnish the space with the series of mid century modern furniture for a comfy and modern look. Oversize picture frames are added to fill the wall vacancy. It looks like a big space for wardrobe with cubes for seats or storage. 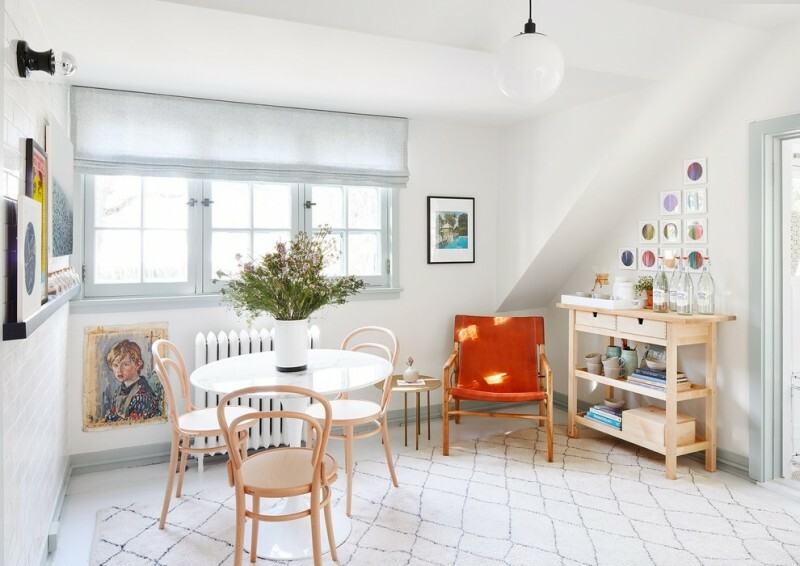 This space is actually a walk-in closet designed in Scandinavian. 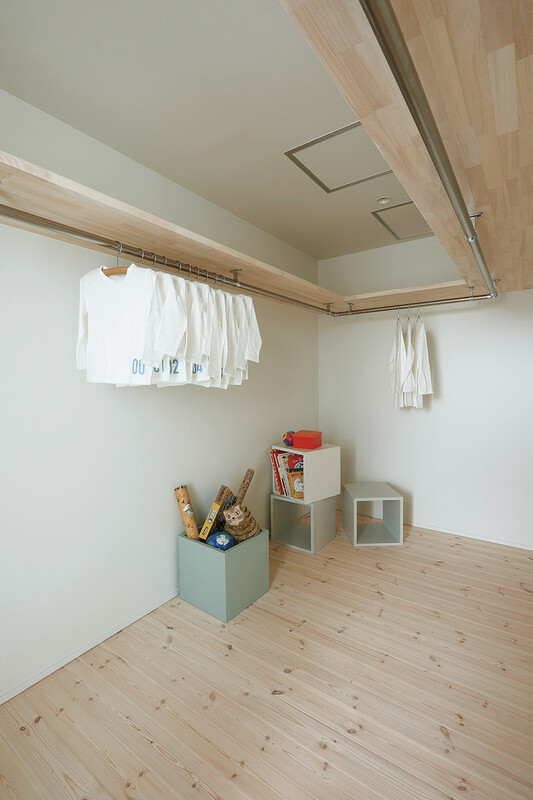 Light wood and white dominate this room, creating a simple and clean lined space for the outfits. Warmth is also obviously felt in this room. 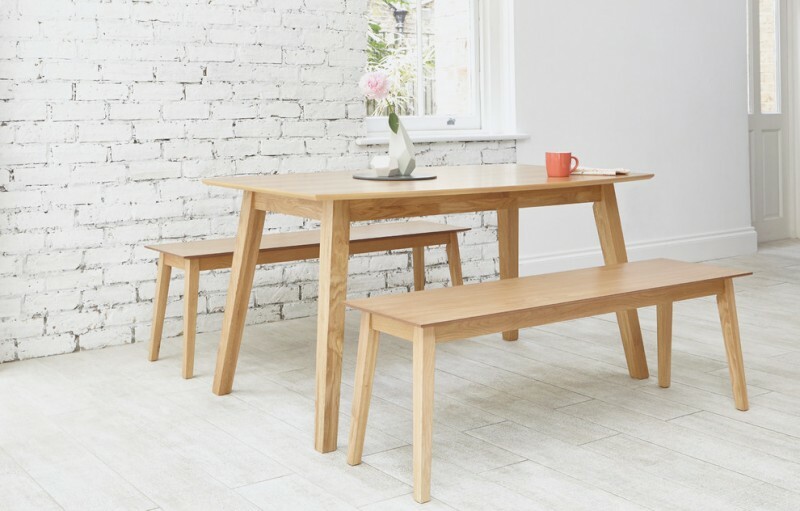 Light wood for dining bench and table maybe another best choice for a Scandinavian style dining room. 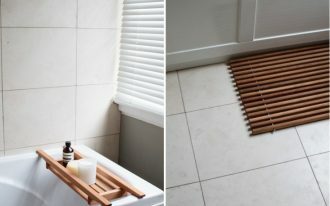 Complement the space with supporting elements such as purely white interior (white-painted bricks wall and whitewashed wood floors). Or, replace your benches with more formal or semi-formal seats like these angled-wood legs plastic chairs. That’s more stylish, isn’t it? Keep being original yet modern – one of beneficial values of Scandinavian principles. 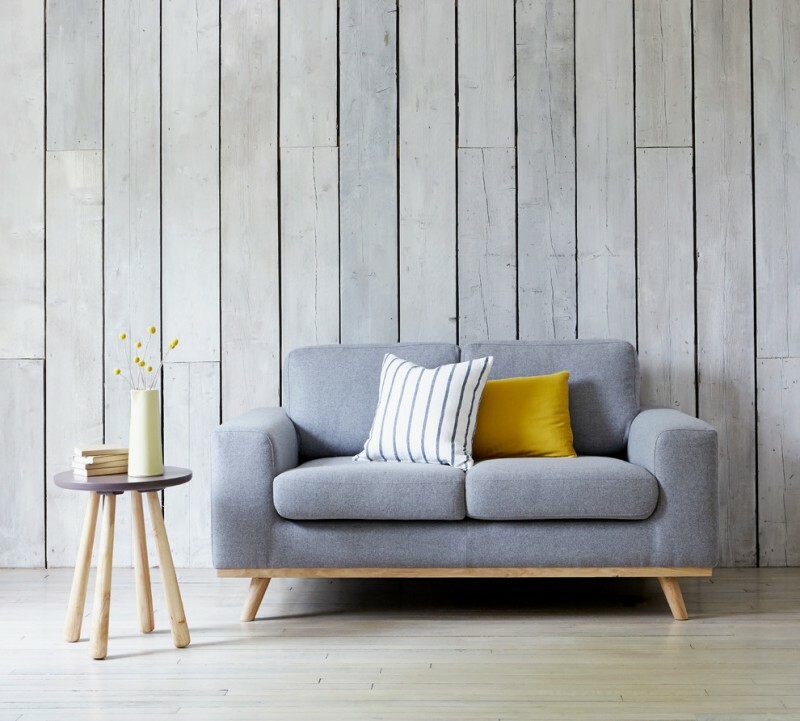 With lighter and shabbier vertical wood siding background, this mid century modern couch shows its elegance & beauty. The couch never leaves its main function as the comfy seat and a part of interior style. 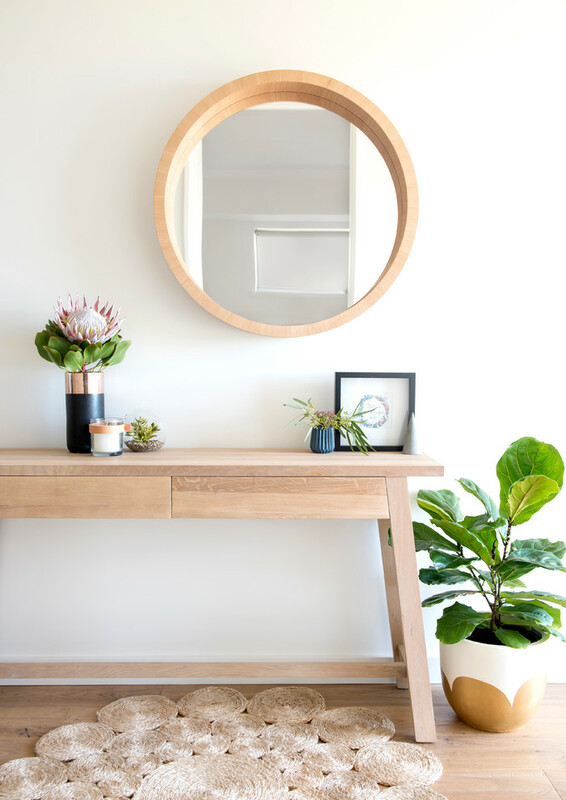 The side table completely improves the interior performance just through its simple design. 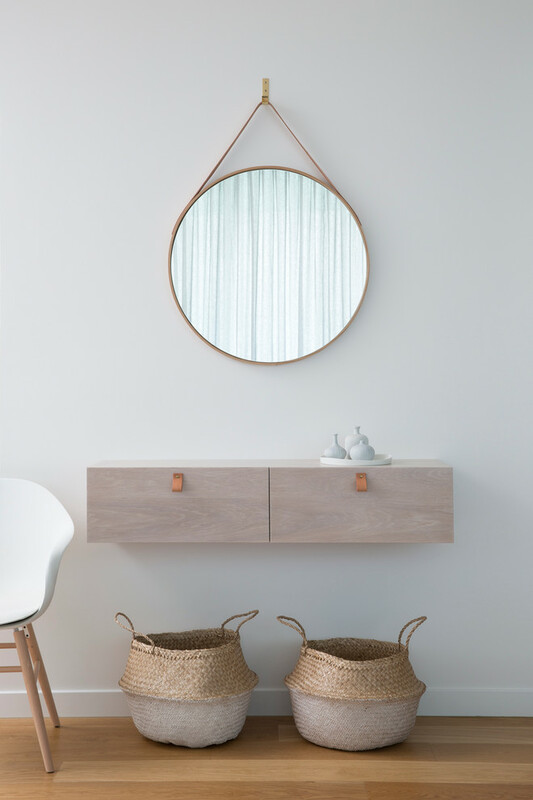 Light wood still be the favorite for most scandinavian interior style lovers, and it’s nice when being combine with other soft and bright tone like white. Accent it with a contrasting but bold palette like black for producing an obvious contrast. 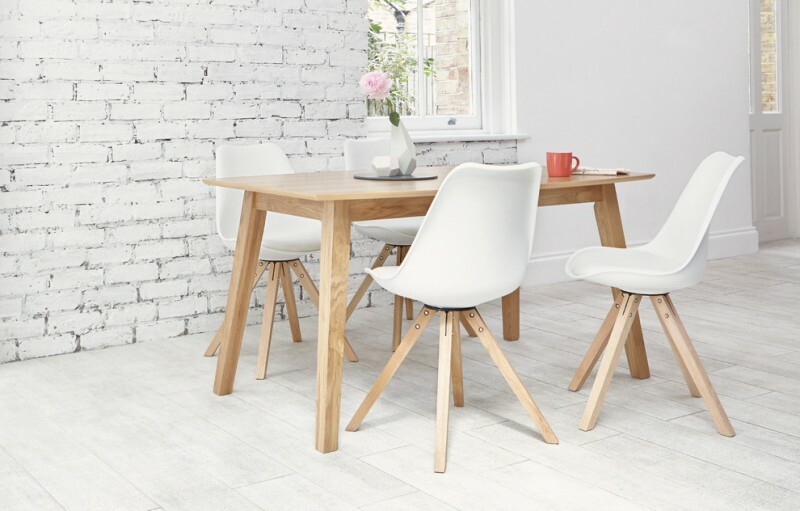 An updated traditional dining room accented by mid century modern elements for more stylish and scandinavian look. Previously, the space is bright yet old. Just with a little bit touch of additional furnishings and accessories, the space truly seems more modern and clean lines. A corner for ‘me time’. 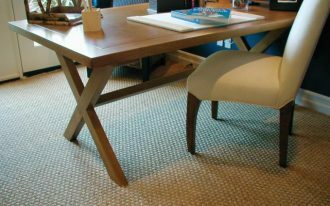 Fill the space with simple & cozy furnishings like this reclining chair and table. Black leather neck-rest and smooth fury blanket for more comfort. 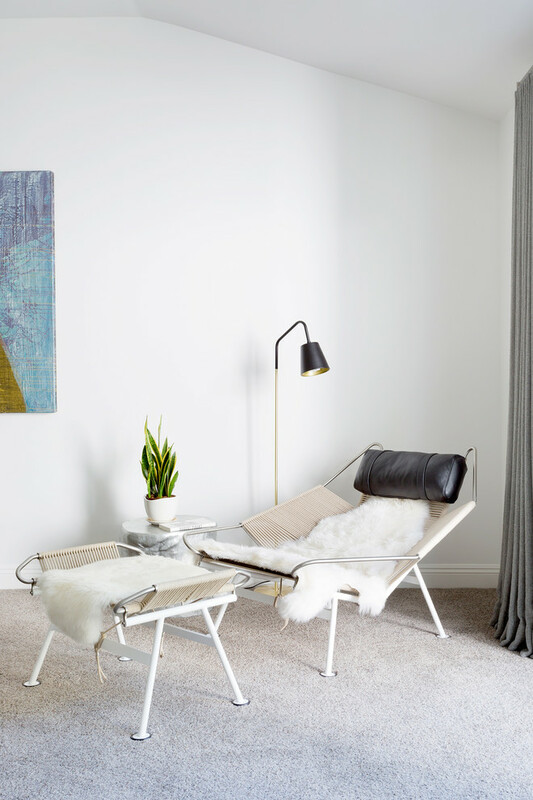 A high & tiny floor lamp doesn’t merely add the functional value, but it also gives updating style. A music corner in Scandinavian style. The space just consists of a grand piano with darker wood finishing. 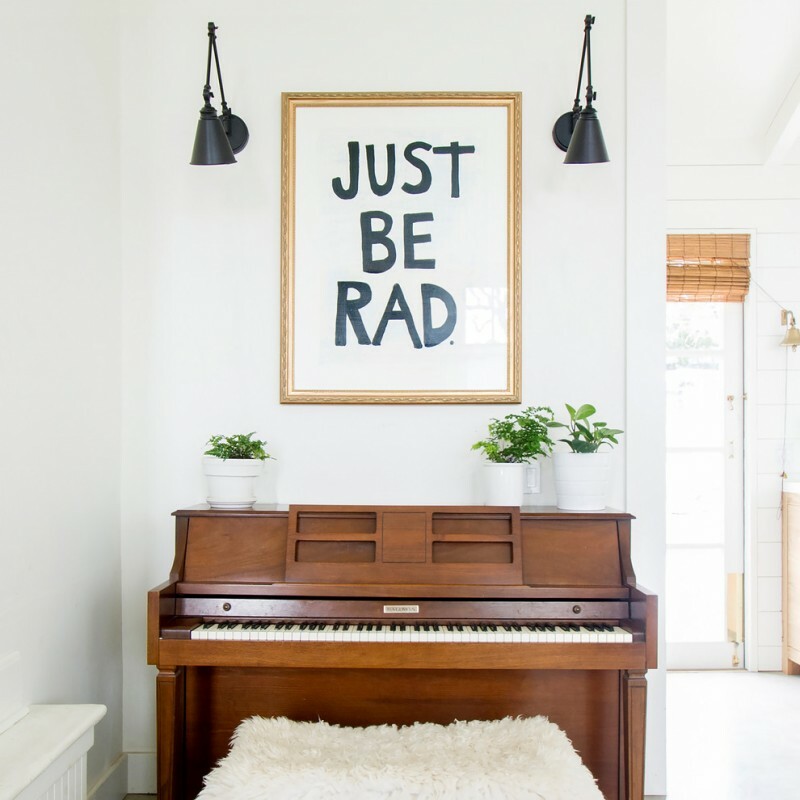 An oversize wall decor has been the most obvious object on wall, being another potential focal point after a couple of wall lamps on either side. The herbs on mini pots refreshes the room. Highlight your narrow balcony with fresh greens. Wood woven armchair and white round-top table aren’t the best pair but still be a matched set for a cozy seating area. 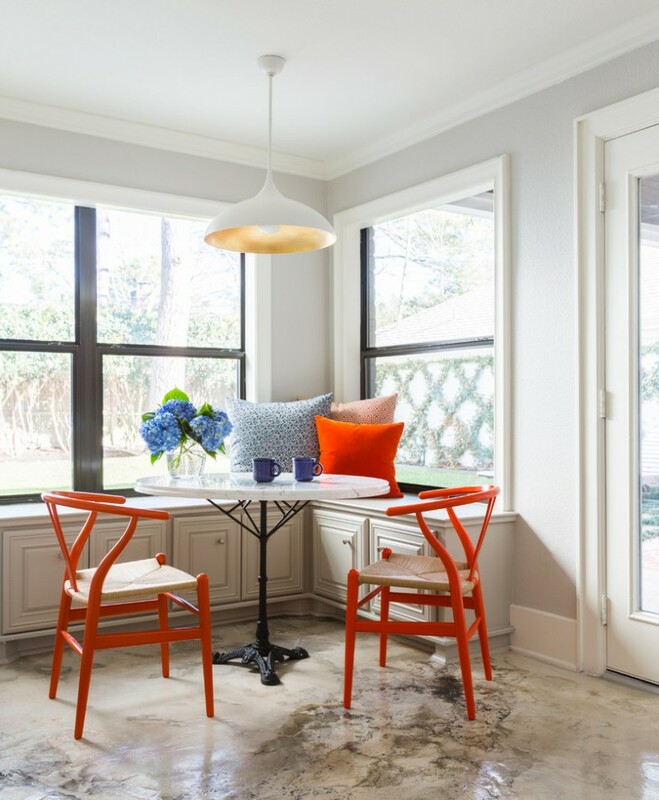 With right furniture layout, this sunny space would be the most favorite spot for enjoying each fresh morning. Out of box; use different concept in remodeling our existed Danish style interior. By adding something antique like these Chinese sculpture and wall clock, for instance, it exactly doesn’t make the space ‘boring’. That’s absolutely gives something unique in Scandinavian concept. Let the space free off, just move all furniture away and keep the burner be the only thing in the corner of space. Make some square-shaped glass windows be the focal points. Expose them in different size for aesthetic credit. Scandinavian interior improves just through the tone exposure and shape. Solid black is always elegant. It would be obviously contrast with bright and soft color tones including white. Glass use in this exterior produces a transparent visual effect, so it won’t give any impacts to the color combination. Use freshly vivid plants on either side for the accents. Clean lined and modern space for fun and relax while enjoying the best wine. X-base wine cart has black and gold finishing, showing elegant look. It’s more than a cart, it’s an artwork with good-handy skill exposure. In simply way, the bench still offers ultra comfort either as a seat or a bed. The baby pink armchair is so lovely. Its tone is totally unique since it’s different from other furniture items dominated by light wood. 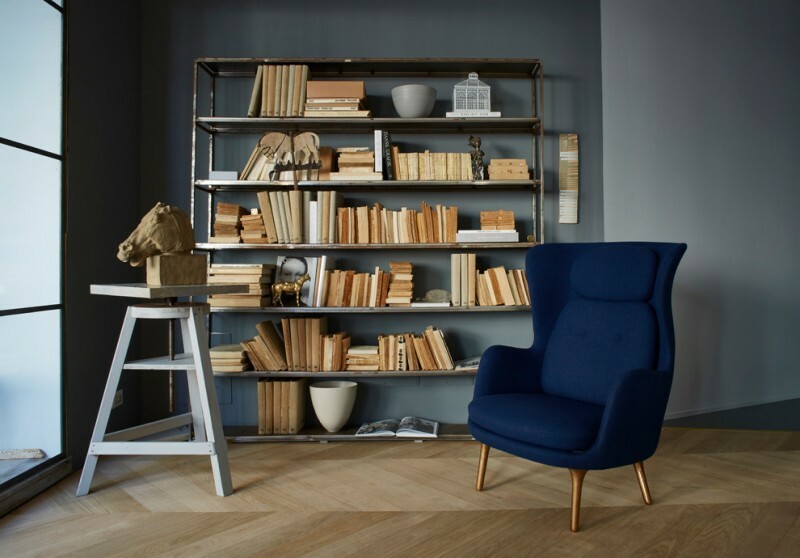 Light and bold from the same color kind; you may play with such color combination for your most private or favorite room like your mini home library. 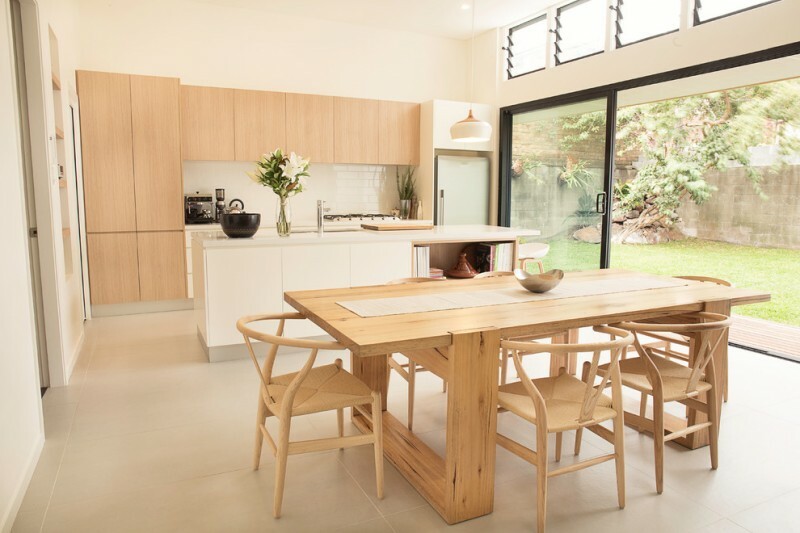 Wood floors in light proportion complete the interior. No need a large book rack, this medium-sized rack is enough for your books collection. Premium style could be achieved when we’ve chosen the best and updated elements like tone and shape. Interior’s tone plays important role for each interior objects like furniture and ornaments. These chairs, for instance, apparently have similar tone to the wall, just a little bit different in the boldness. 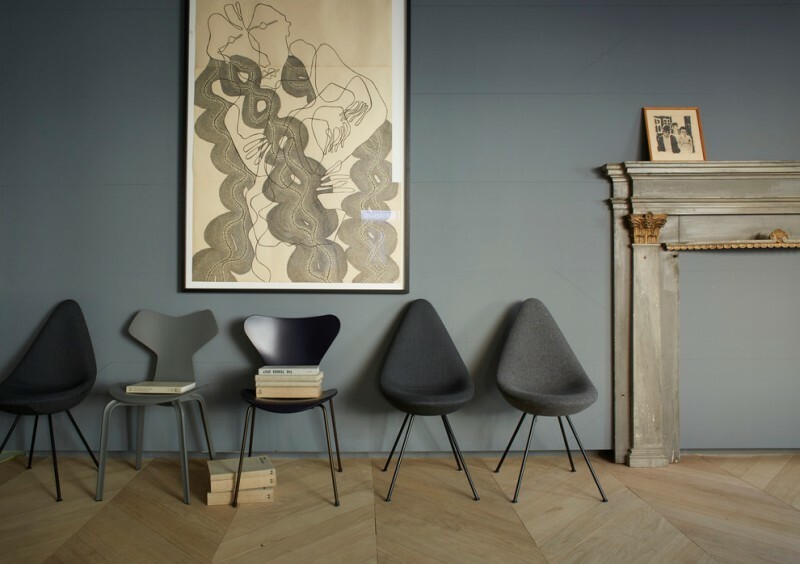 The shape (through the chairs’ model) exposes a high-end design commonly applied on most modern furnishings. It’s like a longer kitchen counter with glossy wood base and white subway tiles backsplash. The chair is adorable. Its color tone has successfully impressed us all. 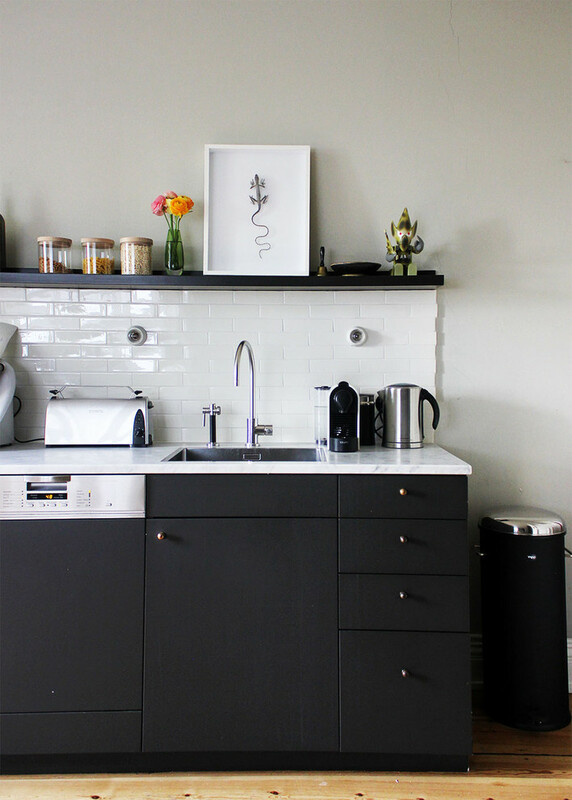 A danish kitchen idea with black doff cabinets and white subway tiles backsplash. Stainless steel kitchenware sounds be the best match for this kitchen set. 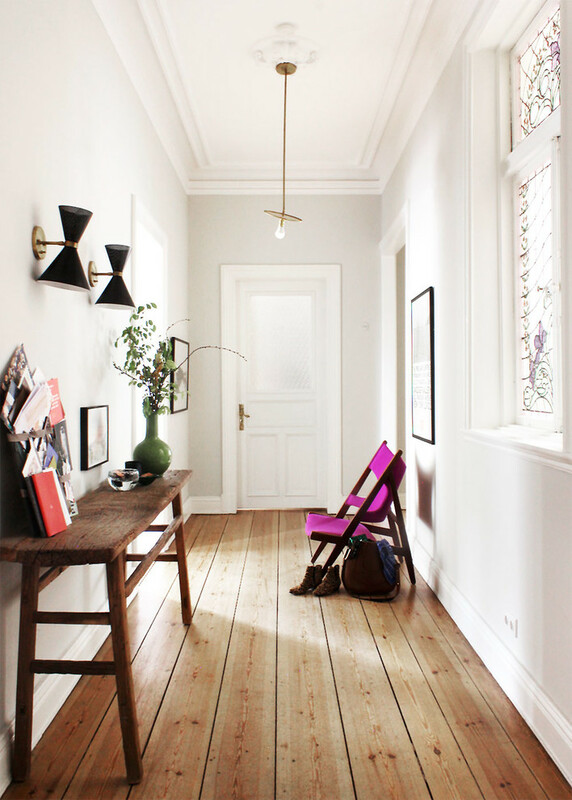 A hallway furnished by a simple wood bench for display and a mini folded chair with so striking purple. Without these elements, this space is just a no-special one. 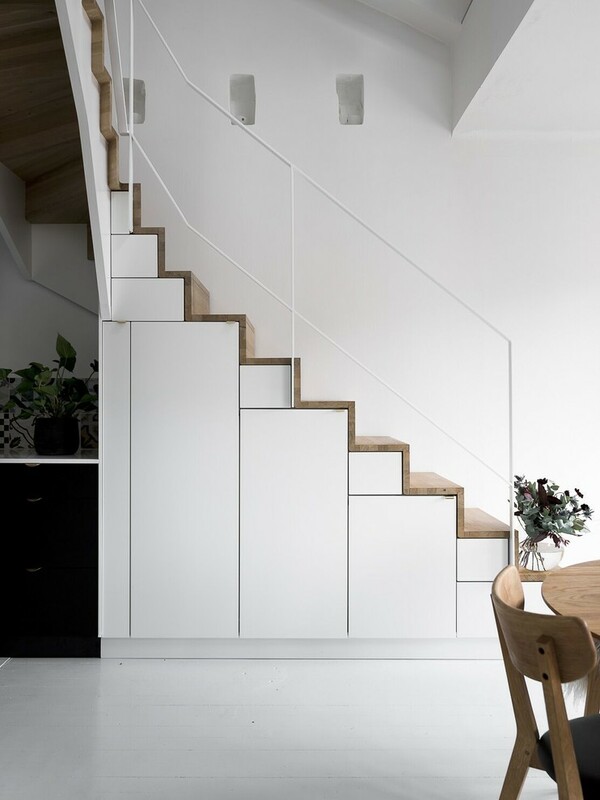 Minimalist and modern staircase idea with Scandinavian touch. Simple lines of railings make us stay focusing on the staircase in which just exposes the clean lined wood steps and flat side panels. The stair storage doesn’t look like an obvious storage. Interesting. 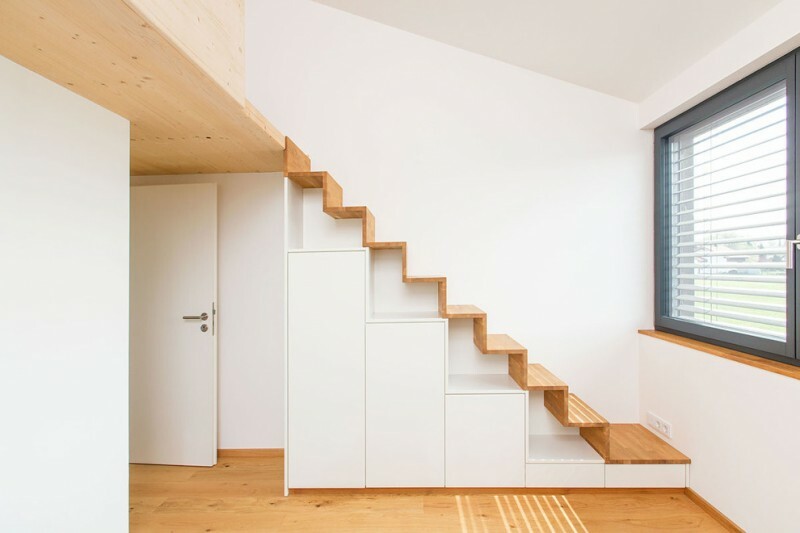 A scandinavian staircase without rails. Keep safe and stylish. 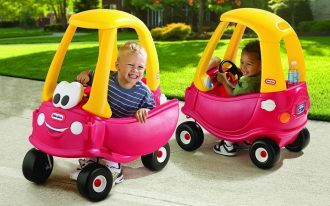 It still exposes a simplicity and practical use as the major credits. Extra stair storage is provided in two choices, flat paneled cabinets and open shelves for different storage options. 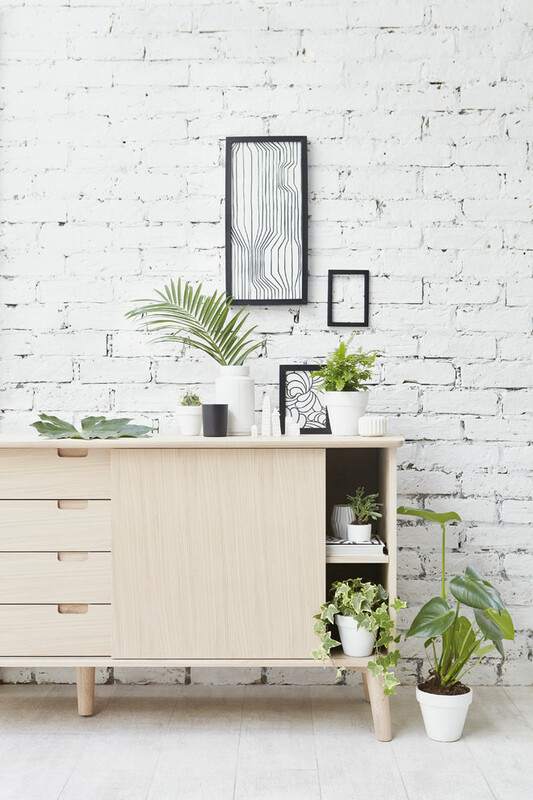 Light wood and white still be the favorite for most scandinavian concepts. 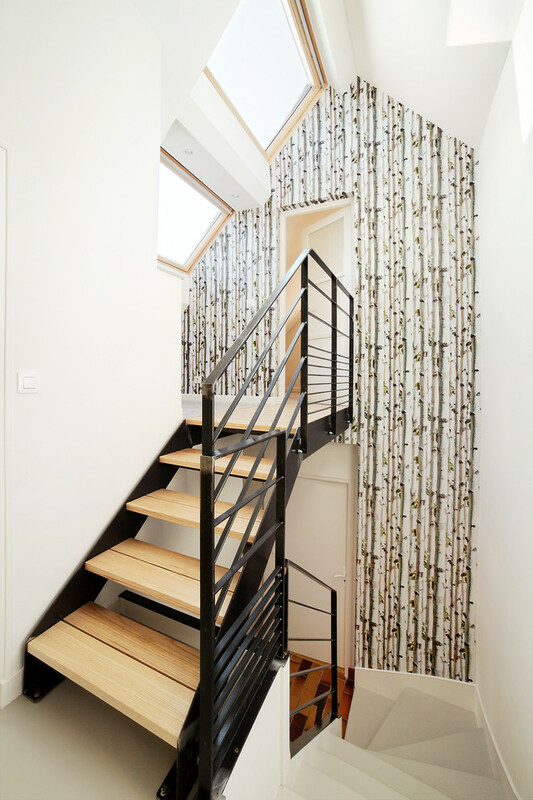 Smaller scandinavian staircase supported by black-coated metal rails and accented by series of skylight and full-length drapery. It looks more ‘crowded’, indeed. Different to other common railings, this railing system is directly connected to the upstair, resulting the railings construction with various lengths. Beautiful & unique. Black accent is inserted along the wood steps’ edge line, adding a clean lined frame for every single wood step. 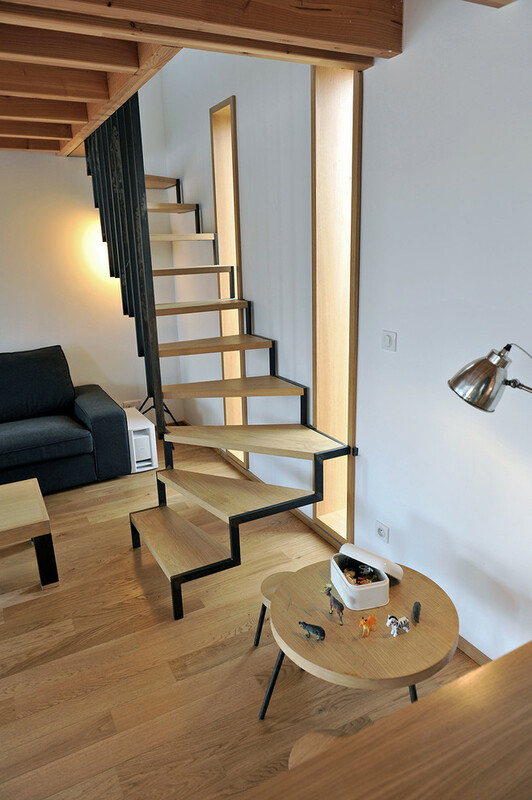 This scandinavian wooden staircase seems so full in dimension, especially the thickness. White interior blends well with the staircase, giving a beautiful & soft contrast. Overall, it’s photogenic! So neat and simple. The light wood wall background and floors feel so naturally warming. Grey-finishing bed frame and bedside table bring calm and cool to the space, producing a balanced visual interior.